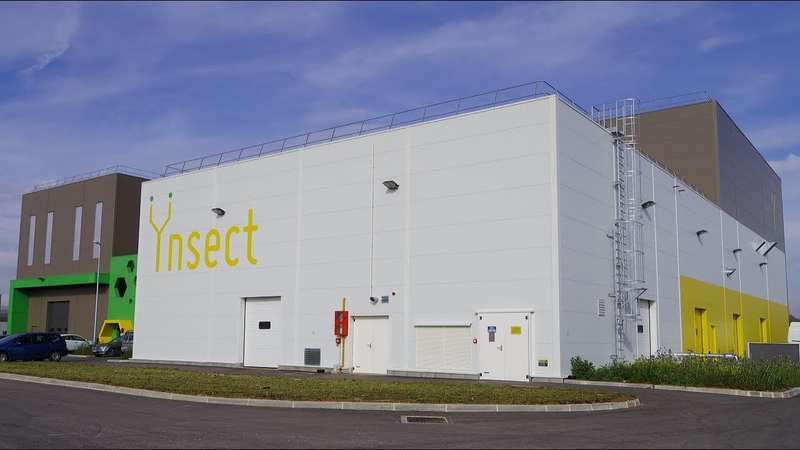 French insect protein firm Ynsect has raised €110million to build what it claims will be the largest insect farm in the world in Poulainville, northern France, and expand internationally with a plant in North America. The round of fund-raising attracted international investors including from the UK and Asia. "This record round conducted among leading international investors demonstrates our leadership in the [insect protein] market and validates the relevance of our founding vision," said Antoine Hubert, founding president and CEO of Ynsect. "In a highly dynamic market of feed and manure, we are proud that a French player has become the leader of a new industry both in the premium market and with large-scale production". The funds will help finance construction of Ynfarm, a vertically integrated farm which will produce 20,000 metric tons of protein annually. Based in Poulainville, in the city of Amiens, it is set to be the biggest insect farm in the world, the firm claims, and will "significantly increase the amount insect protein available on the European market". In parallel, Ynsect plans to accelerate its international expansion program by opening a new plant in North America. The firm did not state where it intended to build the new North American plant. Parliamentary question: President Trump's statements on French winesAnswer given by Ms Cecilia Malmström on behalf of the European Commission (12.3.2019).The Honourable Member refers to a tweet that President Trump issued on 13 November 2018. However, to say that the E... Arla delivers turn-around after tough start to 2018After a difficult first quarter, Arla came out of 2018 with improved sales and brand share as the company’s performance grew stronger throughout the year.